July 13, 2018 11:45 am. Gr.3 Winter Cup (1600m) hope Red Sierra. Source: Race Images. Next month’s Group 3 Winter Cup (1600m) at Riccarton is already the target for one member of David and Emma Haworth’s team, but it could become the aim for another with further success at Trentham on Saturday. Red Sierra will continue her preparation for the Cup on August 4 when she tackles the Hiremaster Handicap (1200m) at Trentham, while Hand It To Jonesy’s Rating 75 target at the Riccarton meeting could yet be upgraded to a shot at the Group feature with success in Saturday’s Hanley Formula Whyte Handicap (1600m). The Nom Du Jeu four-year-old has won three of her 12 starts and will carry just 51kg in the Whyte, with the father and daughter training partnership opting to utilise stable apprentice Charlotte O’Beirne’s 3kg allowance. “He’s dropping back in distance, but the mile at Wellington will be like 2000m anywhere else the way we’re expecting the track to be on Saturday,” David Haworth said. “He really tries hard, but he might find it hard beating the little mare (Rosewood). He’s got a nomination for the Winter Cup, but there’s a nice lower grade race – the Rating 72 1400m race – the same day so we’d like a really nice prep run for that. Hand It To Jonesy is well down the order of entry and would need a significant ratings penalty from winning on Saturday to secure a start in the Winter Cup, but Haworth is happy to take a patient approach with the progressive galloper. 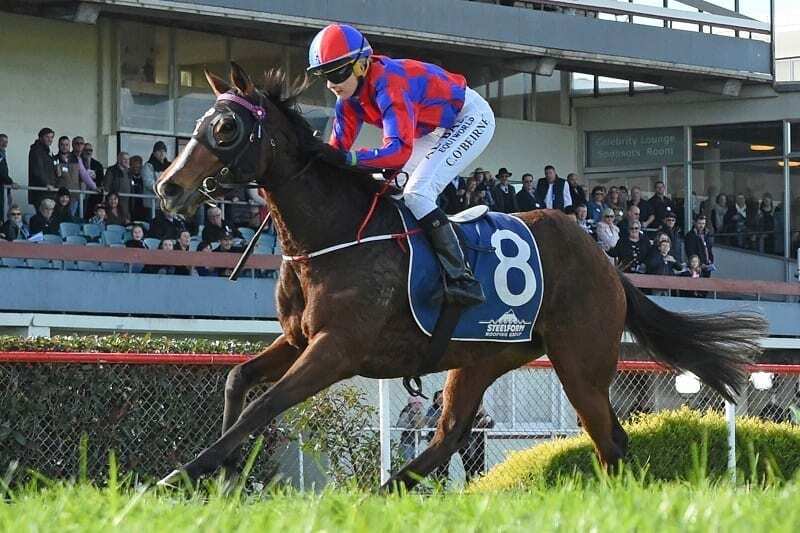 “He’s only four, rising five and I’d like to get him down to the South Island then give him a few runs through the spring while the tracks are still rain-affected,” Haworth said. “He can run in that lower grade race the first day and then there’s an open race (the Winter Classic over 1800m) on the last day that will really suit him. “He probably should have won at Hastings last start. He’s shown steady improvement and we haven’t knocked him around on the way through so he’s going into this race in good order. O’Beirne will also ride Redwood four-year-old mare Red Sierra, who is higher up the order for the Winter Cup but not yet guaranteed of a start at Riccarton.